If you’re thinking of moving or migrating to Australia, follow these Instagrammers and you’ll never be short of inspiration! The Australian Dream is an easy sell with its beautiful beaches, sunny cities and spacious houses. But just in case you need a bit more inspiration to see you through the winter, we have scoured through Instagram for what we think are the best feeds to inspire your move to Australia. We’ve taken a selection from official tourism accounts, top photographers and travel bloggers, but also thrown in a few style, food and real estate accounts to give you a real taste of the best that Australia has to offer. 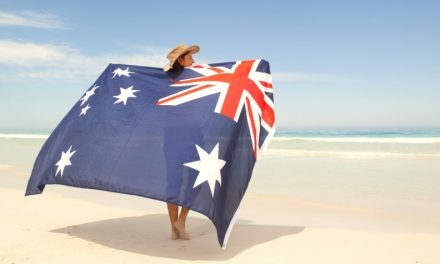 But be warned – if you’ve been indecisive about whether moving to Australia is right for you, after seeing what’s on offer here, you’ll be booking a one way ticket down under in no time! If we had to pick one Instagram account to sum up the Aussie Dream lifestyle then this would be it. Mark’s feed is packed full of sunshine, beaches and the #instafamous photo of Terry the Turtle saluting the camera! Mark’s viral photo of Terry the Turtle! Australia’s own official tourism account on Instagram offers some of the most breathtaking views of Australia you can imagine. Matt Glastonbury is a professional photographer based in Tasmania whose Instagram account offers up images of the Australian landscapes. Capturing the beauty of Australia from the air, Gab Scanu photographs some of Australia’s most stunning bodies of water. It’s been a long time coming but my online store is finally here! My art is my greatest passion and it is something I want to allow you all the opportunity to welcome into your homes. Whether it be a Fine Art Print, a Homeware item or Lightroom preset. I’m sure you will find something that suits your style! Head over to the link in my bio to check out the store and the full collection before it goes!! Aubrey Daquinag is an Instagrammer that also works for Condé Nast Traveler and shares many of her favourite images of Sydney as well as some helpful travel tips. The official Sydney account brings you the best shots of Australia’s most iconic city. Garry Norris is passionate about cooking and Australia’s natural beauty and he shares many of his images on his Instagram account. 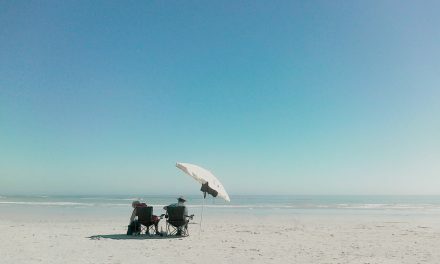 Who’s up for a beach day? ???? This is Garry Norris’ other Instagram account which documents his love for good food. It is definitely worth a look! With all of the luxurious Australian beaches, charming villages and nightlife you can handle, Pauly Vella’s Instagram account will make you want to move to Australia today! Surfing Australia’s Instagram is perfect for the adventurous traveller who likes to have fun in the sun and catch some Aussie waves. The Instagram account of the online magazine Broadsheet Sydney, covers much of the city’s nightlife, entertainment, art and food scene. Moving to Melbourne? A companion site to Broadsheet Sydney, Broadsheet Melbourne offers much of the same dining and entertainment news, just in a different location. Your Home and Garden’s Instagram showcases some of Australia’s most beautiful homes. The Sunshine Coast in Queensland is what Australia is all about. And as their Instagram account so clearly demonstrates, the local tourist board has one of the easiest selling jobs in the world. Everything from beautiful beaches, forests, sunsets and of course cute koalas! Australian model and fitness enthusiast, Laura Van Hout loves to run. And she shares many of her runs on her Instagram page which also gives her followers a look at Australia’s beautiful countryside. Showingcasing the best from the wonderful and unique island of Tasmania, this account is bound to tempt you to consider moving away from the big cities. Australia’s West Coast has a lot to offer and perth_life does a great job of revealing why so many Brits choose Perth over Sydney or Melbourne. You can’t visit Australia without seeing the beauty of the outback. Find some quiet away from the crowds and have views like this from your pool! Buying property in Australia? Then leading Real Estate Agents Ray White is a must follow to find your dream property – with or without pool. Described as “Australia’s first professional Instagrammer”, Lauren’s feed doesn’t disappoint. With over 450,000 followers she dedicates herself to showcasing the best of Australia. Here’s an alternative hobby for view – chasing round Australia taking epic photos of the Milky Way. You don’t get views like this in London. if you are planning a new life in Australia then don’t miss some timely inspiration from PSS’s own Instagram account @NewLifeOverseas focused on finding the most beautiful photos down under. 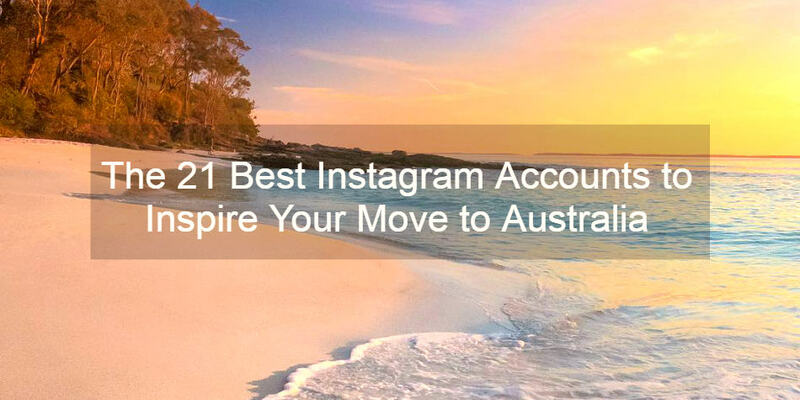 Follow these 21 of the best Australian Instagram pages and you’re guaranteed the daily dose of inspiration and motivation you need to keep your dream of moving to this beautiful continent on track. These are our favourites. Are there any accounts we’ve missed that you think should be added to our list? Let us know and maybe we’ll do a part 2! 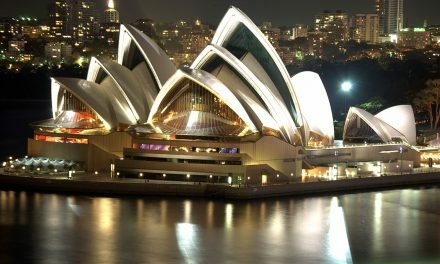 Need help moving to Australia? Over the years we have helped thousands of people start a new life in Australia as well as many Aussies heading back home. 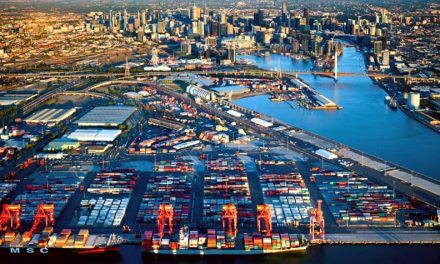 Contact our team for help and advice on shipping and removals to all parts of Australia. We can also find someone to help you with all aspects of migrating downunder– everything from visas, jobs and the best places to live. Just give our team a call on 020 8686 7733. 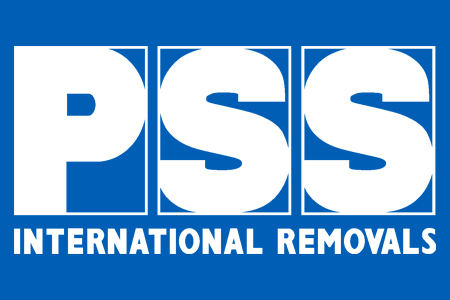 You can also visit our Removals to Australia or Shipping Boxes To Australia pages. PreviousHow much does shipping to USA cost in 2018?